Worcester Valkyries have bolstered their options in midfield with the signing of powerful centre Hannah Bluck. 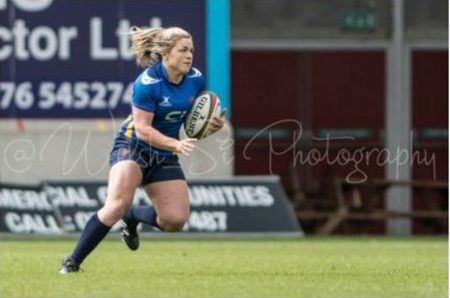 Bluck, who hails from Porthcawl, has joined from Pontyclun Falcons having recently been named in the 2017/18 Wales Training Squad alongside fellow Valkyries Charlie Murray and Sian Moore. The 20-year-old represents the Cardiff Blues region and previously played international football at age-group level. 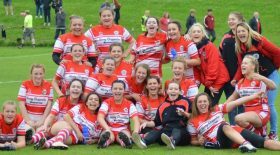 Valkyries Director of Rugby Roy Davies said: “I’ve been really impressed with what I’ve seen from Hannah in training so far. “She brings great energy, is physically dominant and has the scanning and spatial awareness skills that you’d associate with someone from a football background. Bluck added: “The welcome from everybody has been first-class. The facilities are fantastic and I’m looking to strengthen and develop this coming season.